October 1, 2017 - Fall is an important time for roof maintenance because it protects your home from heavy winter ice and snow. If your roof is damaged and in need of repair, now is the time to get it taken care of. In order to ensure that your roof has the longest lifespan possible, check out these five roof maintenance tips for fall. September 6, 2017 - Fall is an important time for roof maintenance because it protects your home from heavy winter ice and snow. If your roof is damaged and in need of repair, now is the time to get it taken care of. In order to ensure that your roof has the longest lifespan possible, check out these five roof maintenance tips for fall. March 2, 2017 - Allow Middle Creek Roofing to help in preparing your home for the changing seasons. 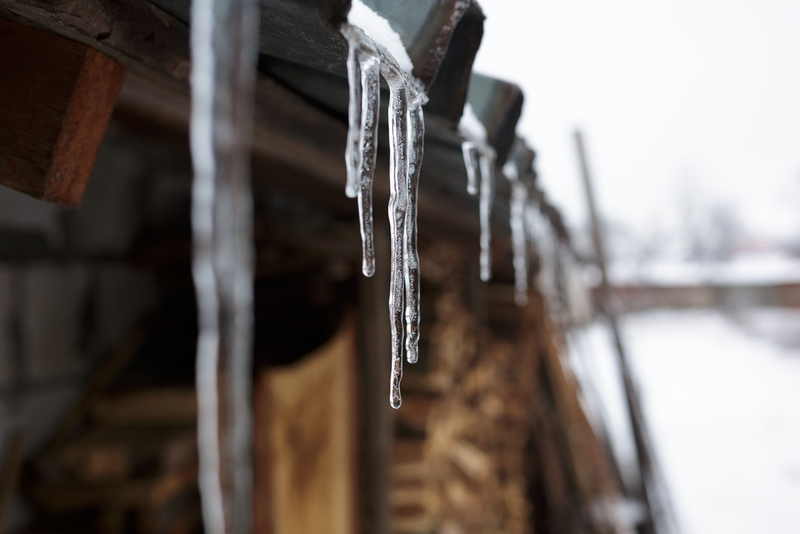 As Winter thaws to Spring, it can have a big impact on your roof and gutters. Make sure the experts are there to help! February 1, 2017 - Learn why metal roofing may just be the right choice for your home this winter. Also read more to take advantage of our winter special! January 9, 2017 - Learn why it is so important to clear your roof of snow this winter season. Small repairs can turn into even bigger messes, while the weight and water can damage a perfectly good roof. Also inquire further to learn about our free gutter special running this winter season! Tis The Season For Roofing Updates! 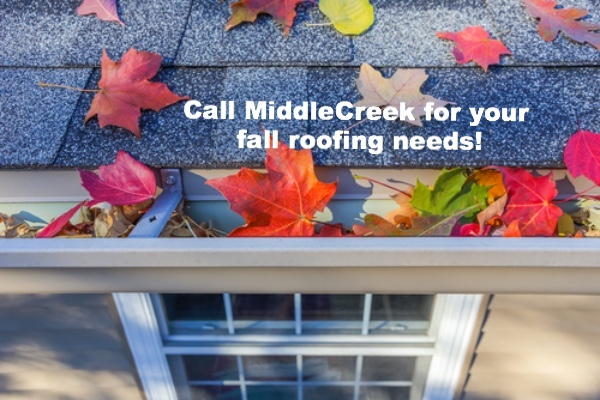 November 9, 2016 - With winter just around the corner, now is a great time to think about having your roof inspected and repaired by one of the experts at Middle Creek Roofing! As your roof protects your home from the elements all year long, it endures a good amount of wear and tear, which can lead to leaks and other damage. It's time to clean your gutters! October 15, 2016 - Autumn is here, and we're offering up our $189 gutter cleaning special. If you've had an issue with your gutters clogging after all this rain then now is a great time to have them cleaned out. ‪The special is up to 100 linear feet, and existing gutter protection could require addition charges. Still Holding onto a Contract? September 1, 2016 - September 1, 2016 - Are you still holding onto a Middle Creek Roofing proposal? Undecided about what to do? Try Middle Creek Roofing with a contract value of $5,000 or more and we'll give you 100 feet of FREE gutters when you schedule your job with us! July 1, 2016 - As summer continues to heat up and we continue to endure this heat wave, we hope you've been able to either make it to the shore or relax by the pool. Along with summertime fun, comes summertime projects and we've loved being able to take some of those projects off your to-do list. 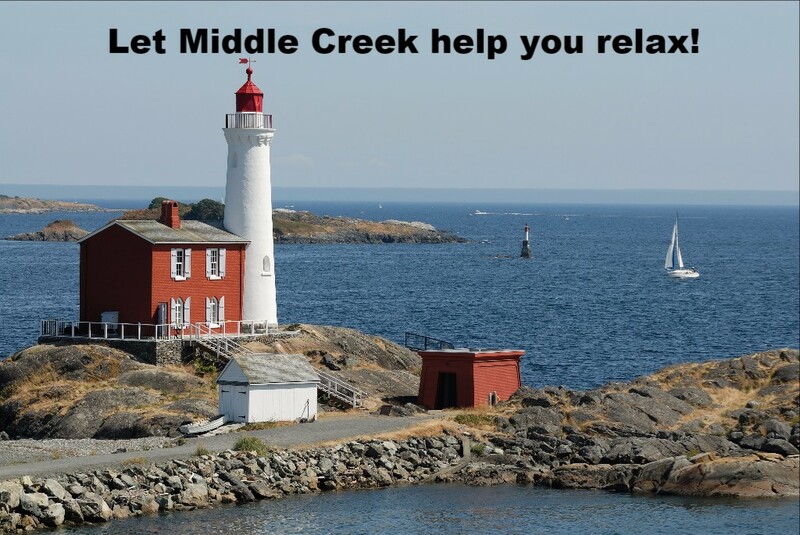 At Middle Creek, we take pride in helping you and your family relax a little more this summer. If you've been procrastinating that new roof you know you need, then right now is the perfect time to give us a call. June 1, 2016 - Summer is well under way, you can smell the delicious grills cooking at night and many out enjoying the beautiful weather we have recently been getting. As summer kicked off so did planning for family get-togethers and events throughout the warmer months. 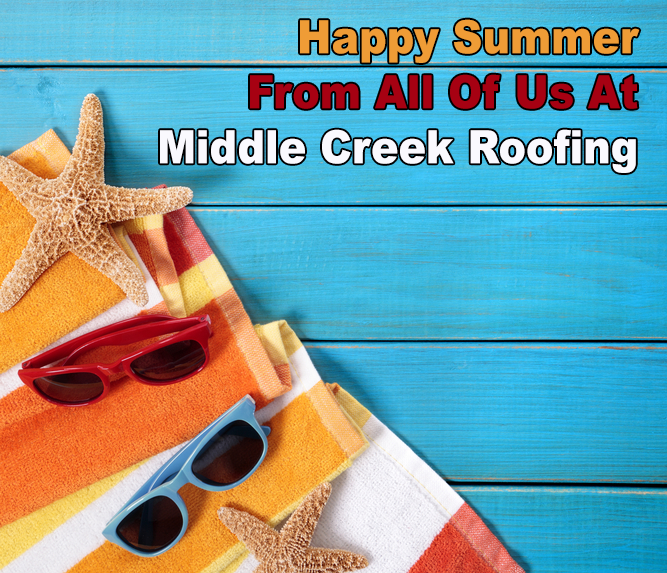 We at Middle Creek Roofing hope that you are excited about the recent project we completed for you as much as we are. We truly appreciate each and everyone of our customers.